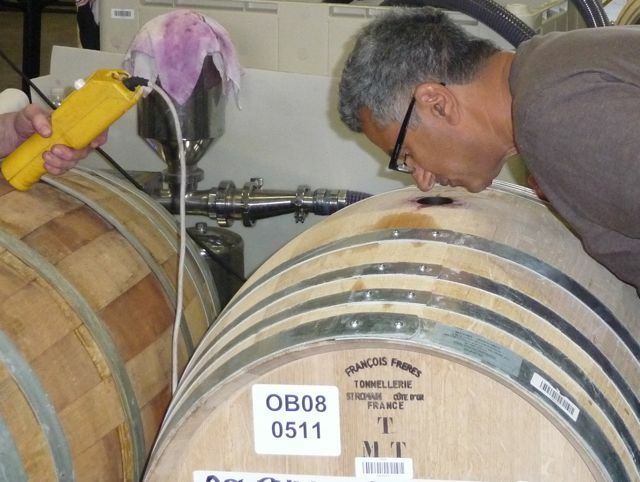 We are winemakers going down the path from hobby winemakers to commercial winemakers. Uzi’s childhood involved wine: his grandmother made wine with grapes grown on their property and he has vivid memories of his sister stomping the grapes. But he was seriously bitten by the winemaking bug during a spring trip to Burgundy in 2003. We started making wine in the small crawl space below our house that fall. Every year since, our production doubled, our equipment inventory doubled and friend involvement doubled. Then finally, in 2006, our crawl space “quadrupled” into a full-blown home wine cellar. In 2008 we took the plunge to produce Pinot Noir and Chardonnay commercially from incredible vineyards including Beresini Vineyard, Hyde Vineyard and Lauterbach Hill Vineyard. Our label: Stomping Girl Wines. We hope you will read about our adventures, our history, our progress here on the blog. yahoo! i love your postings and am thrilled to hear about your wine-making (ad)ventures. i’ve added it to my favorites list and will keep coming back to it to find out the results…. i remember with great gusto the wine you served in your basement winery a couple years ago. can’t wait to hear how the commercial venture comes along…. yes, the bottling party you came to. 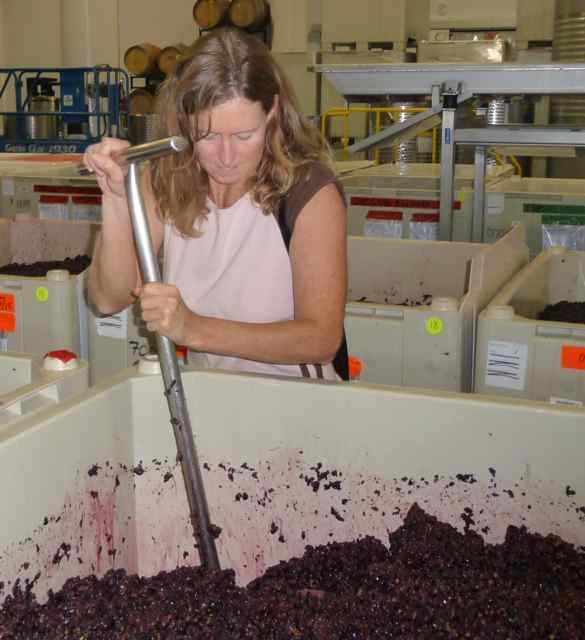 it is that time of year again, we will be bottling the ’07 Merlot Nov. 1 but with a smaller crowd this time. looks like San Cristobal is treating you all well!